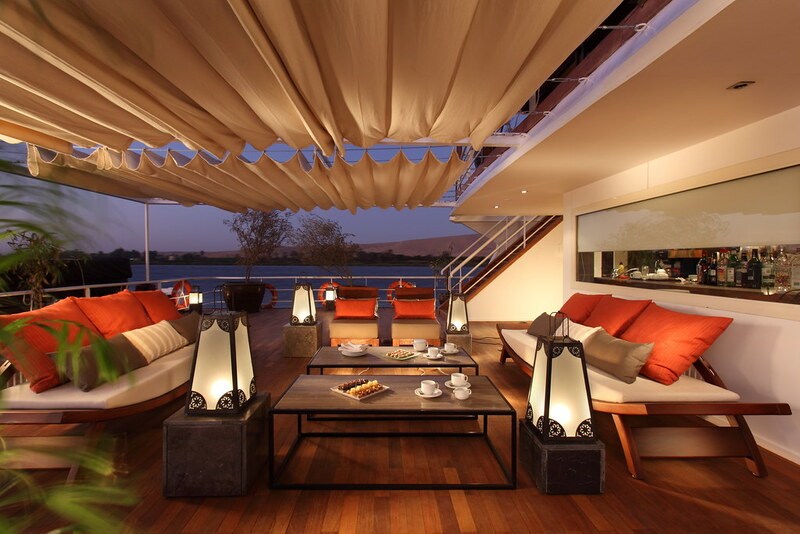 Sail down the Nile in luxury for up to 30% less with Sanctuary Retreats. A bucket list destination for centuries, there has never been a better time to travel to Egypt. Not only is the country buzzing with renewed optimism, but its many fabled sites are free of crowds and open to in-the-know travellers. Egypt’s ancient past lives on in its majestic monuments and relics created by one of the most impressive civilisations history has seen. Follow the mighty Nile from Aswan to Luxor as it flows through the heart of Egypt aboard an award-winning Sanctuary Sun Boat, visiting highlights including the Valley of the Kings and Queens, the Unfinished Obelisk, Philae and Luxor, as well more remote, but the equally spectacular Denderah, Kom Ombo and Edfu Temples. Sanctuary Retreats’ three intimate river cruisers – Sanctuary Sun Boat III, Sanctuary Sun Boat IV and Sanctuary Nile Adventurer, each provide the perfect combination of elegant surroundings, luxury service and cultural itineraries for an unforgettable Nile experience. Perfect for a relaxing journey along the River Nile, each stylish cruiser combines timeless beauty, grace and cutting-edge efficiency with the discreet ambience of an exclusive club. Smaller than the average Nile cruiser, their designs ensure a more personalised service coupled with the leisurely pace of a longer cruise. · Winter season (January to April, October to December, excluding Easter, Christmas and New Year) starting from $408 per person, per night twin share. · Summer season (May to September) starting from $292 per person, per night twin share.